The Sensex and the NIFTY rose 1% and 2%, respectively, between 1 February 2019 and 7 February 2019. ML Mega-cap Index went up by 1% and ML Small-cap Index ended flat. 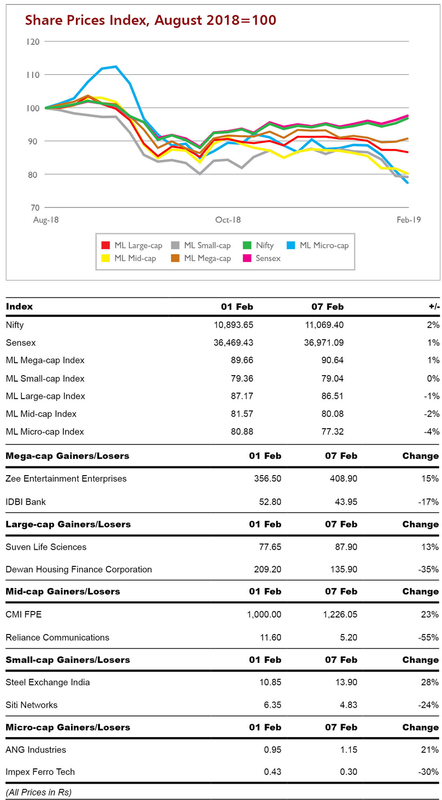 ML Large-cap Index, ML Mid-cap Index and ML Micro-cap Index declined 1%, 2% and 4%, respectively.